Words by Fiona Symington-Mitchell. Photos and recipes courtesy of Joe Stella. Now living in London, Joe launched Stellacello in 2012 from his home in Bethnal Green, taking inspiration from family recipes that originated in Italy over three generations ago. “I have always been very passionate about food: cooking, curing meat and crafting cheeses, and making liquors to have at home to share.” However, the journey from home liqueurs to a creating a recognised brand in London was in his own words an “accidental” one. A friend asked to stock one of his liqueurs at her restaurant - The Lardo in London's East End, and success followed with clients now including Ottolenghi, Polpo and Tate Modern. 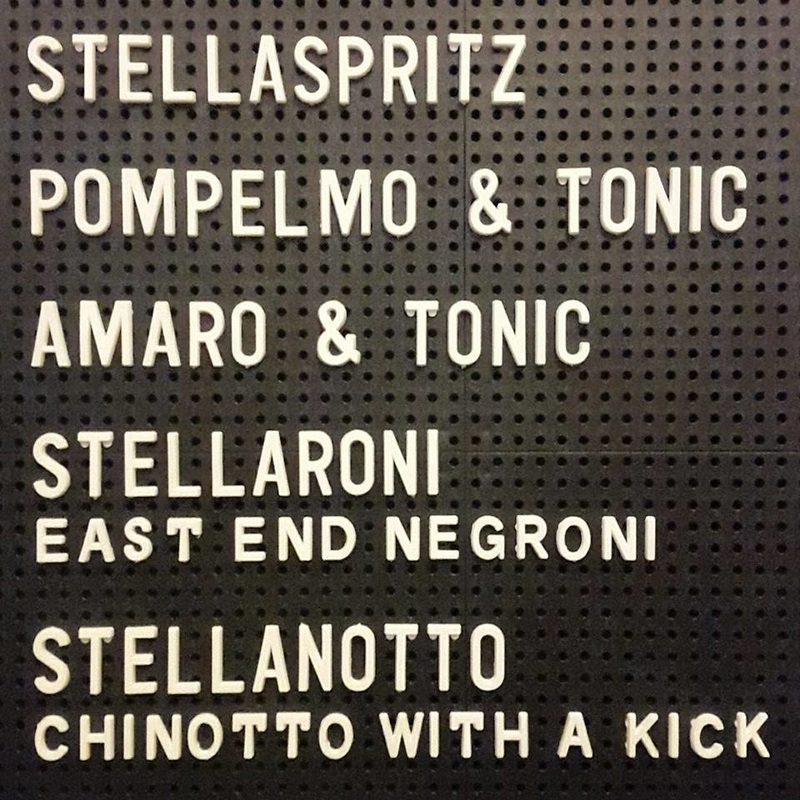 There are two liqueurs in the Stellacello range: Pompelmo and Amaro London. Crafted from pink grapefruit, Pompelmo was very much inspired by the simple liqueurs made by Joe’s parents at their home in Melbourne. It offers a refreshing take on the all familiar Italian classic - Limoncello. 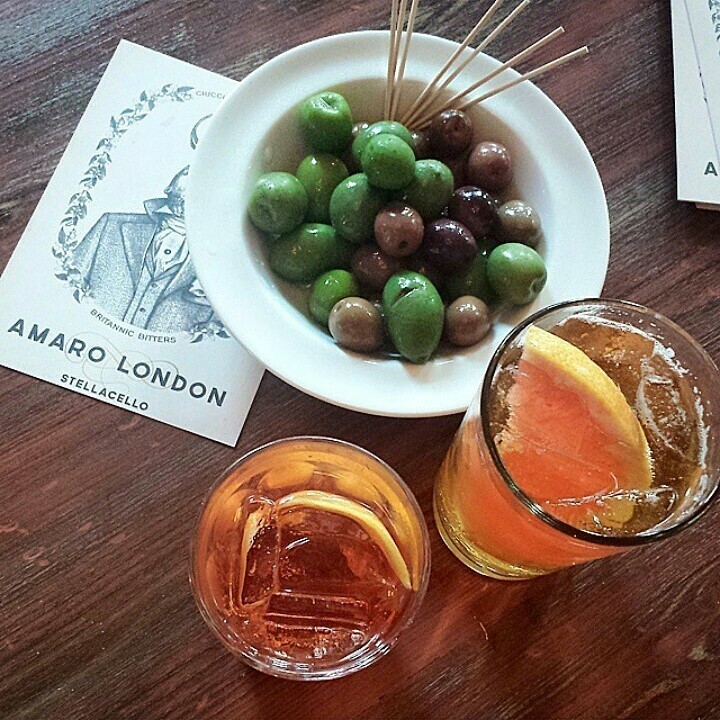 In contrast is the Amaro London. Two years in the making, Joe confesses that early test bottles of this Italian bitter are still scattered around his house, so complex was the alchemy of its number and diversity of ingredients. A long time fan of Italian amari, he wanted to create something unique, fulfilling the challenge of creating Britain’s first Amaro. As for his next release, Joe has no plans for the immediate future but does concede that the lure of alchemy calls. He gives little away of his current projects, except to say that he wants to continue creating liqueurs that he would be proud to serve to family and friends. In doing so, he remains true to his cultural heritage and the knowledge that the pleasure of food and drink is when it is shared. 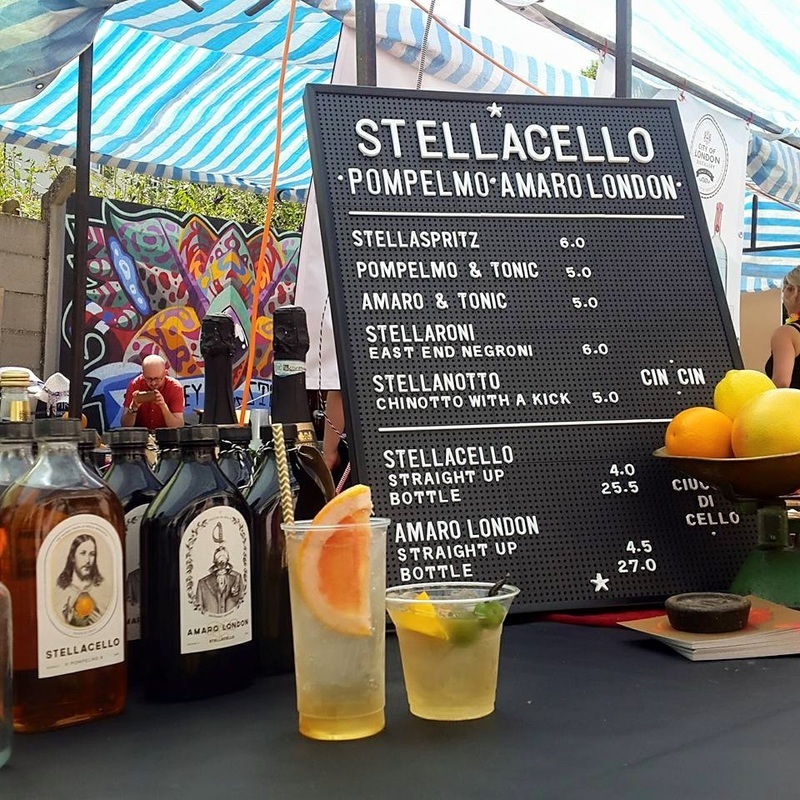 You can find a full listing of where to try and buy Stellacello liqueurs here. Since arriving eight years ago, London has changed dramatically as a food city. I rarely drank coffee outside of my home when we arrived. Now London has some of the best restaurants in the world, great coffee, and the most amazing markets that are giving people the opportunity to present what they are making and are passionate about. The fact that more and more people in London and elsewhere in Britain are open to the idea of drinking tipples like my amaro and other interesting aperitivi is a very positive thing indeed! Not so much of a UK food hero, but my food hero is my Mum: she is an effortless passionate cook, takes pride in what she does, and has a wonderful fruit and vegetable garden that she tends to and cooks from almost every day. Where do I begin? There's Lardo in Hackney for their tantalising in-house fennel pollen salami, black anise pepperoni and lard. London Borough of Jam in Clapton for their amazingly colourful and fresh seasonal jams. LilyVanilli for her beautiful artistic approach to baking, using the most wonderfully unique ingredients. And for outside of London ... Sussex-based distillery Blackdown Artisan Spirits. Their Sussex dry gin uses birch sap from a nearby forest as a botanical which gives it a unique provenance resulting in a seductively smooth gin. The list is endless but one secret of mine is the ‘cannoncini’ from Princi in Wardour Street Soho. It’s a custard-filled Italian pastry that is worth queuing for. There are so many to mention. London has fantastic markets. It’s hard to go past Borough Market as an epicentre that represents the best of British produce. In the East End, my local favourite is Broadway Market on a Saturday; the Bánh Mì reminds me of growing up in Melbourne. Then of course Columbia Road Flower Market on a Sunday, I love to watch the seasons change there, with the different flowers and plants. Something I find both beautiful and inspirational. ​Fiona Symington-Mitchell is an Australian freelance writer living in London. She has published with Modern Farmer, Remedy Quarterly, Countlan magazine, Food& and de Groot Media Australia across its food guide publications.